Typical Tilke. It is a phrase that for better and worse has entered the modern F1 lexicon, reflecting that for pushing the last two decades the architect Hermann of that ilk has been responsible almost exclusively for the sport's new-fangled circuits. 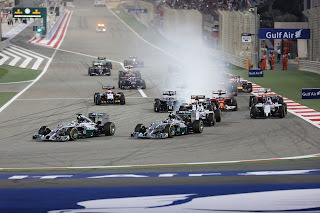 And that for the forthcoming Bahrain round embodies the phrase more than most of them. The Sakhir facility is indeed typical Tilke. It's built from nothing, all clean lines and gleaming architecture. And comes with a sense that everything has been thought of. Yet it has some of the typical Tilke flipside too. As with so many of these new circuits it represented a large geographical stride into a new world; when it debuted in 2004 it was the first F1 race in the Persian Gulf. Some of course agonise over the extent that F1's been turning its back on its core support, as well as over the motivations of its newer hosts. The Crown Prince of Bahrain has been known to justify the event more in terms of 'national branding' than sport, while as we know this particular round has had controversy attached for much more weighty reasons than that. It is typical Tilke in its layout too. Much of the fingerprint is there: long straights book-ended by tight corners designed to promote overtaking, with a dash of quicker turns elsewhere. This track is a little bigger on the former at the expense of the latter compared with some of Tilke's other efforts however, its triangular layout somewhat like a flattened-out Red Bull Ring. Like the Red Bull Ring also though it has with reasonable regularity produced entertaining races. 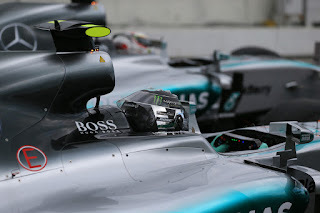 New Grand Prix Times article: Formula 1 driver power - a nice idea but impossible? F1 driver power is quite the subject right now. We had the GPDA's very public shot across the bows on the running of the sport in recent days, which indeed is just the latest raising of the stakes from the increasingly active organisation. While over the season-opening weekend in Melbourne Lewis Hamilton had a lot to say on the subject of drivers being brought into the sport's decision-making. And he had a point; if nothing else the drivers' record on getting it right is in fact a good one. But...F1 history is not encouraging on driver power. And in my latest article for Grand Prix Times I outline that while bringing drivers in from the cold would be a good thing, it's hard to see how it can happen. Max Verstappen showed his trademark speed at the 2016 Australian Grand Prix, but did he also show some immaturity? Is he behaving like a typical teenager? Verstappen's request on the radio for 'team orders' shows that he's learned well from our current and previous World Champions. 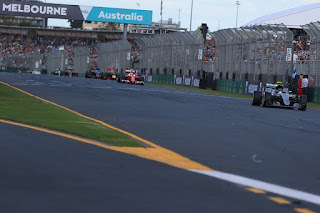 In this week's episode of the Inside Line F1 Podcast, Mithila and Kunal talk about how the opening round in Australia showcased the best and worst of Formula 1. They wonder why Rosberg's race winning drive wasn't covered as well on TV just as Hamilton's off-tracks antics received their due interest. Given our reigning World Champion's interest in taking selfies while riding a bike, should Bernie also put out a message saying 'Think Before You Take A Selfie?'. As we wrap up this show, we wonder why Formula 1 is this expensive and why Haas won't have be paid in their first year despite delivering a dream result on their debut. And finally, a Vettel-Webber show on Formula 1? We'd love that, won't we! Here is my first Motor Verso race review of 2016, for the season-opening Australian Grand Prix of last weekend. And there in the nick of time F1 delivered a thriller. Suddenly the talk of crazy qualifying systems, of the sport in crisis, seemed far far away. Suddenly there is a sense of glad confident morning around. Not least among the nevertheless familiar-looking top three finishers from last Sunday's race. For Motor Verso I give my take on what went on in Melbourne, as I will in every race this season. There were considerable adventures in getting there. 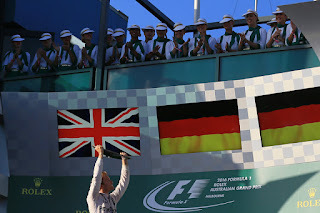 And varying from what Friday and Saturday had indicated it was in fact Nico Rosberg of the two Mercedes that won out in Melbourne's season-opener. Something that should feel familiar and perhaps doesn't, given it's his fourth win in a row. Reminiscent of the Hungary race last year the Ferraris vaulted the previously-imperious Mercs at the get-go with Lewis Hamilton particularly punished. Vettel jumped the two silver cars off the line but what really did for them was that Nico, who'd got a better start than his team mate, ran deep into turn one taking Lewis with him (it didn't look deliberate, more that Nico was off line and locked his front wheels). This allowed the other Ferrari of Kimi Raikkonen past them both too, and Lewis with his momentum checked lost more places to run sixth. 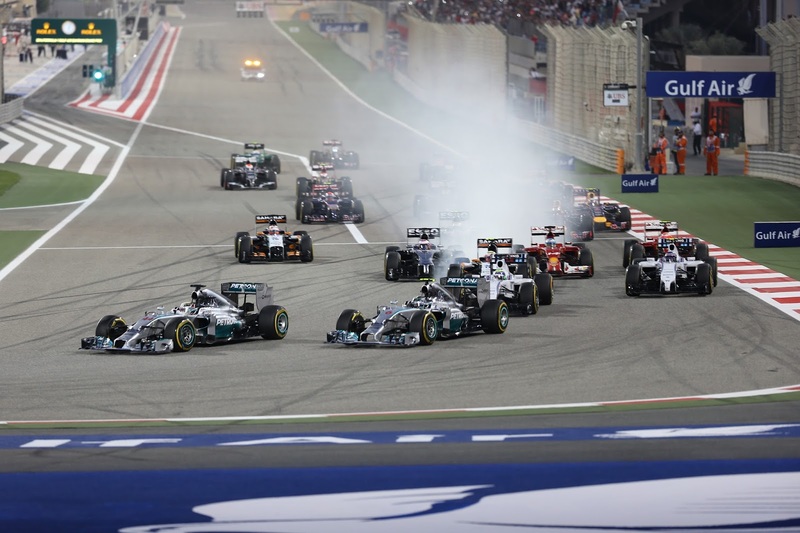 After months of waiting, the 2016 Formula 1 Season is finally here. And while you wait for the five red lights to go out, tune in to the pre-Australian Grand Prix episode of the Inside Line F1 Podcast. 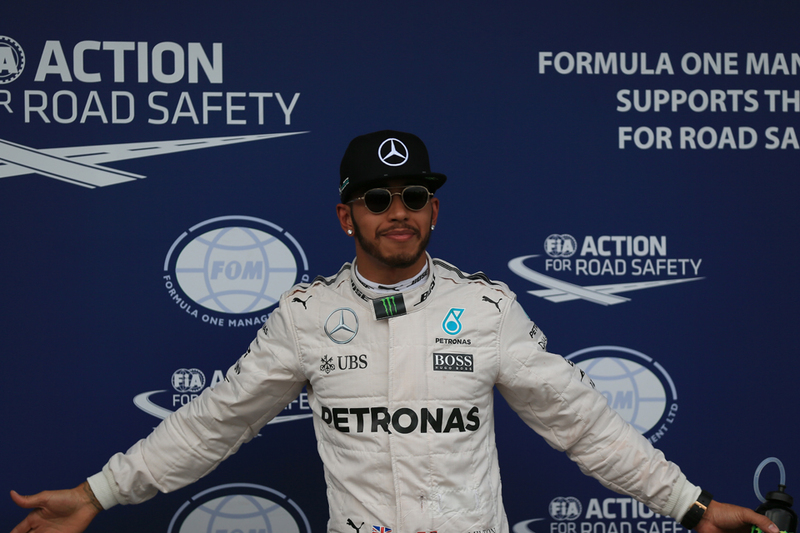 Mithila and Kunal talk about how Lewis Hamilton is the ONLY one who is seemingly having the best start to the new season already. They also reveal Williams' strategy to beat Force India while Red Bull Racing prove that the best way to react to being beaten is to quit! We tell you why a Hamilton-Vettel pairing MIGHT just be needed in 2017, or better, a Hamilton-Alonso pairing in 2018. 'Can Nico Rosberg FINALLY beat Lewis Hamilton?' - our prediction on THE story of 2016. Lastly, Jenson Button could be in his last Formula 1 season. Tune in to find out why. When the flag drops, the b******t stops. OK, F1 races aren't started by flags anymore, so in that sense this aphorism is showing its age. But the fundamental at its core holds firm. And never more so than at the first race gathering of an F1 season. Teams love to create the impression that they know what's going on, that they have incredibly accurate models and intelligence to channel pre-season testing into a coherent competitive order. 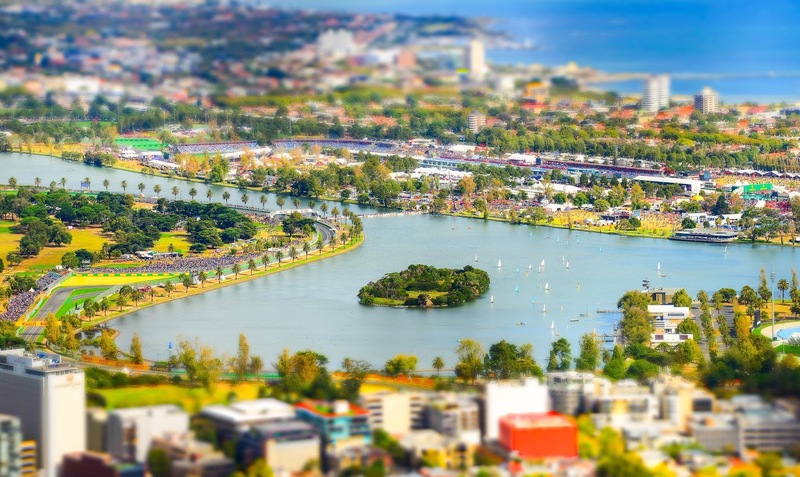 And from the various analyses that spring up as well as the more general mood music, us watching on can get a broad sense of who's hot and who's not before it's all done in anger too. But really it is not until the actual hour of qualifying for the opening round that we get our proper confirmation, and that goes for the teams us much as the rest of us mere mortals. At that point the bluster of testing, and its various accompanying health warnings that we don't know the respective programmes, fuel loads, extent that the engines are cranked up among the many other things that can influence lap time, fizzles away. The stopwatch suddenly will be much harder to deny. And it is that which is before us this weekend in Melbourne for the start proper of the 2016 campaign. Almost no matter what happens to the formula, it's hard to think how that will ever be different. Or anything other than tantalising. And that goes for everyone. 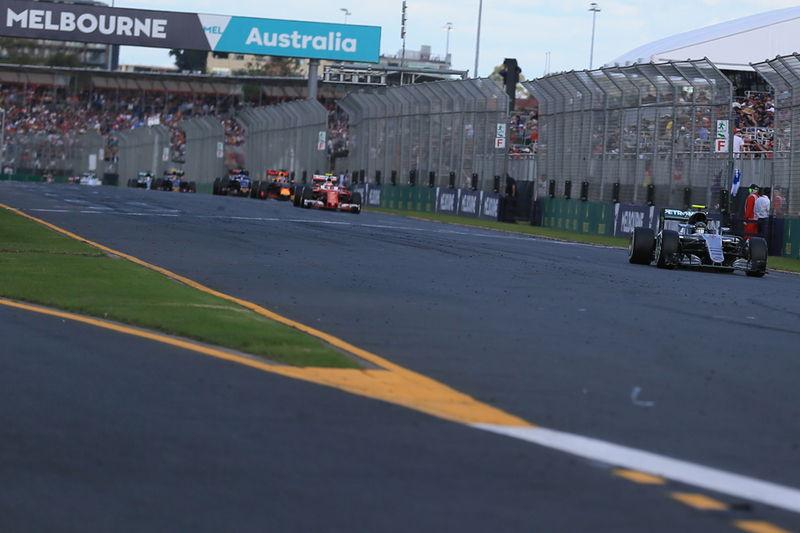 Now with the season-opening Australian Grand Prix but a week away there are plenty of F1 season previews out there. 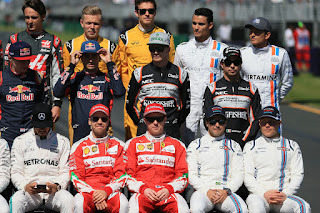 And Talking about F1 is not one to be left out of this, as you will have likely noticed had you been on this site over the last week or so, given I've written a preview for every competing F1 team in 2016 and its drivers. All of my team/driver previews are collected in one place; by clicking on the '2016 Team and Driver Guide' tab above you can explore my view on the prospects of every 2016 F1 driver and team. You therefore have no excuse at all for not being genned up before the cars hit the track in Melbourne. 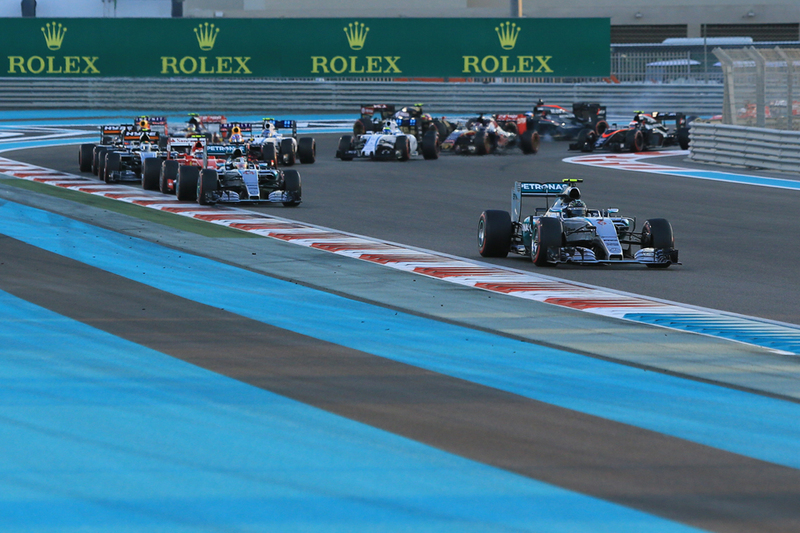 2016 F1 Betting Preview - Rosberg and Raikkonen where the value is? We start off confused, and end up confused on a higher level. So the adage goes. And it fits rather neatly with the annual round of F1 pre-season testing. Interpreting it comes with all sorts of toxic health warnings - the headline lap times mean little; we don't know fuel loads, programmes being run or other vital details. That even with these all teams are making efforts to conceal where they are in the competitive order, and that applies equally whether they're doing well or doing badly. It never stops us trying to interpret it though. And with testing done and the opening round of the season proper a week away, from looking at F1 betting odds at netbet do we have a renewed sense of where the value is? There was little in Barcelona testing to suggest that Mercedes has been knocked fully off its pedestal and therefore Lewis Hamilton remains rightful favourite to be 2016 world drivers' champion. This is reflected in tight odds though for him to do just that - a bet on Lewis at 20/57 to bag the title doesn't even give you 150% of your stake back. If you fancy laying some money Lewis's way then evens for him to win no more than 11.5 rounds this year looks better value - he got 'only' 10 wins last season and you'd think this campaign will be more competitive, although on the other hand there after 21 rounds this time rather than the 19 then. Nico Rosberg by contrast gets fairly tempting odds. For him to continue his good end of 2015 form and win the ultimate prize in 2016 you can back him at 29/10. Maybe even better value is 5/6 on him to get more than 5.5 wins, which would be to match his total from last year at least (which was six) and with two more rounds to do it in. On the face of it, not a great deal looked promising. 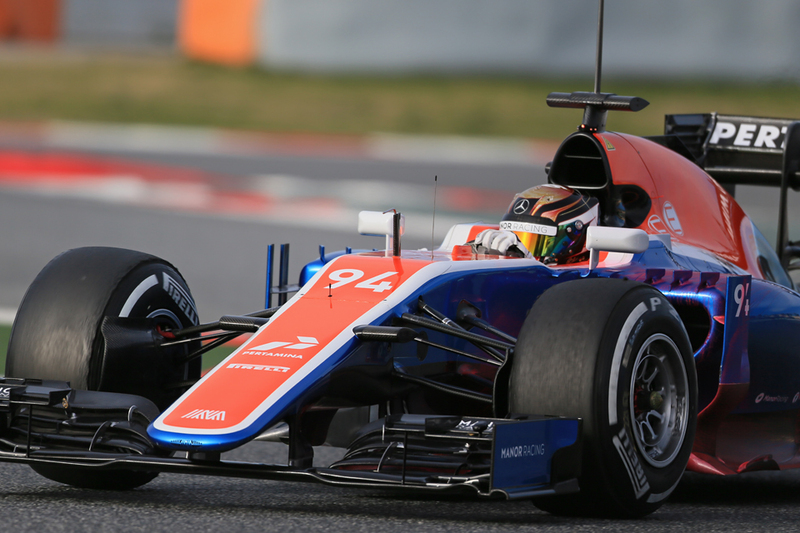 F1's recent previous for squads joining from outside was woeful: of the four debut team slots snapped up for 2010 only one occupant, Manor, still exists and in that case had a very near-miss of extinction. And even so it has never got so much as on the back the sport's peleton, just like none of the other newbies had. 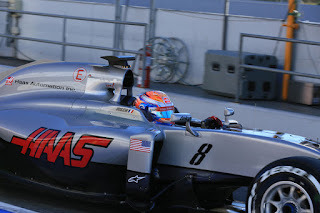 And this latest newbie Haas also is far from the first team to come into F1 with much talk of American glory. It's not even the first Haas to do so. Every team in both circles for one reason or another flopped. But it appears that in the shape of this team the sport has, for the first time since Toyota in 2002, got a built-from-nothing squad operating in the main F1 pack right from the off, as well as represents its best chance in a good while of having a successful US operation. One major difference between the lost generation of 2010 and Haas now is that the 'listed parts' teams must produce itself is much shorter, perhaps is these days surprisingly short, and Haas took this and exploited it to the full in order to minimise costs and risk. Indeed this reflects the team's earliest conception - team principal Gunther Steiner stated that the initial discussions with Ferrari about an F1 effort were about running a customer car, when such a prospect looked possible. 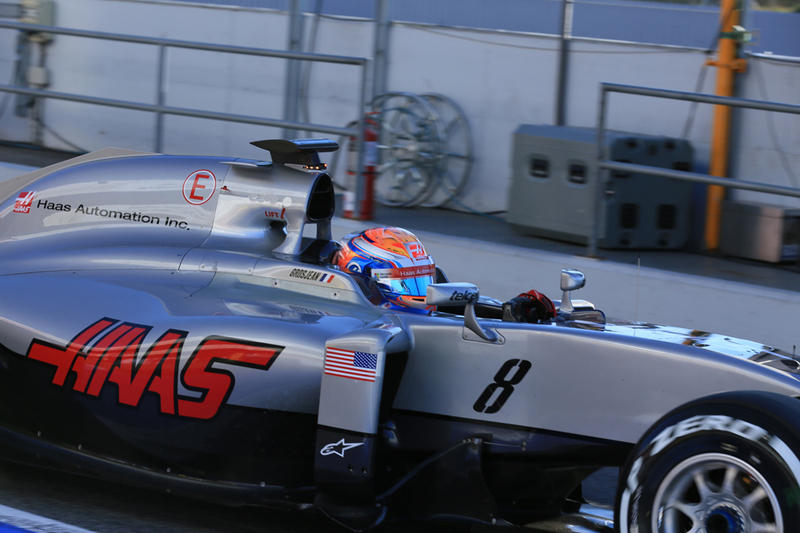 When it wasn't possible Haas tweaked the approach accordingly. Technical expert Craig Scarborough explained that Haas "is the first team to make the most of the 'listed parts' regulations and produce only the minimum components required to be classed as an F1 constructor", which includes outsourcing build of the chassis as well as the design and manufacture of the listed parts to Dallara on a contract basis. As Dieter Rencken outlined too, on these regs "Steiner had clearly done his homework" and sourced parts from Ferrari to an extent that "sent shockwaves through the paddock". Many other teams grumbled and Mercedes even sought clarification in Abu Dhabi last year (and indeed certain definitions were amended for future teams, although what Haas had done was pronounced legal). Nobody said it was easy. No one ever said it would be this hard. 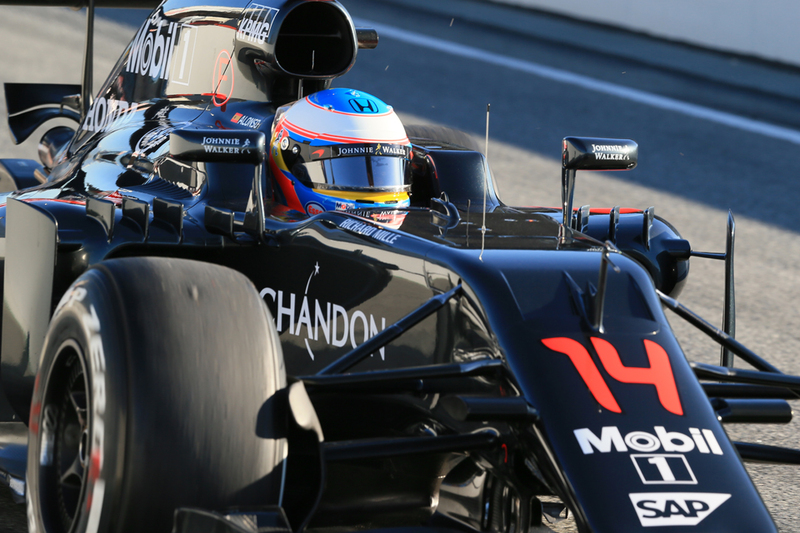 Really what that's not been said already can be said about the rekindled McLaren Honda partnership? The one that got us all so excited at its inception? Of course it's one of the most evocative car-engine partnerships in F1 history, but the fervour in advance of 2015 wasn't all down to nostalgia. Honda was starting two years behind the rest in this engine formula, but one could recall the sport's first turbo era when it was the second generation of suppliers that took over to dominate, of which Honda was quintessential. The McLaren team's reasoning was sound too that again in this engine formula being a works partner is what you need if you want to win championships, and McLaren should know given it's willingly ditched the class-leading Merc it was a customer of in order to do this. There also is logic in suggesting this is short term pain that likely was inevitable for the longer term gain. There was an excellent driver line up and superb technical recruits too. Down Woking way after a couple of difficult campaigns the sense of rebirth was tangible. 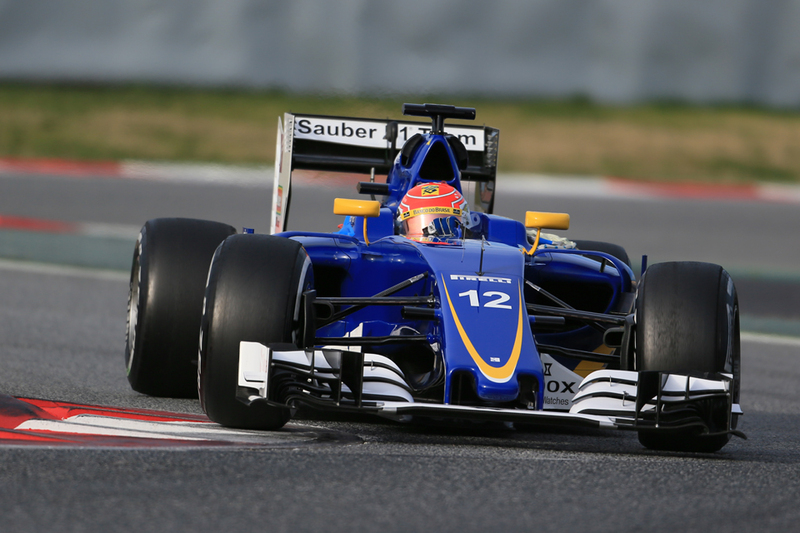 Sauber last year at least recovered from its husk of a 2014. Then it had somehow finished bottom of the constructors' standings with nil points, the first time it had done either since its 1993 debut. This was something rectified pronto in 2015, yet even so some of the problems of before still lingered. F1 has few certainties, but one that we thought we had disappeared in recent years, Even the usually fastidious Sauber squad, F1's pillar of the community, had sunk into a financial mire as so many others had. 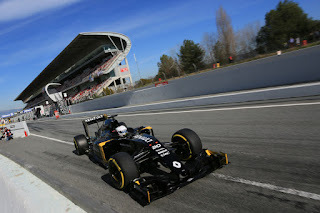 It first manifested in 2013 when there were reports of the Swiss team falling behind on its payments, including to its driver Nico Hulkenberg. The squad's no-scoring 2014 with an underdeveloped car seemed a manifestation too. Then for 2015 the team selected two drivers so far as we could tell on their ability to bring money, to the point that perhaps as many as three other drivers who believed they had contracts for that season were elbowed aside unceremoniously. 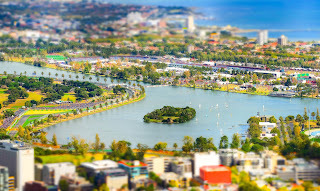 One of them in Giedo van der Garde subjected the team to a public dispute in Melbourne's opening round, both in the courts and at the track. All quite the departure, as whatever else you thought of Sauber it used to be counted upon almost alone in F1 to do its business in the right way. Team principal Monisha Kaltenborn wasn't popular among her peers in Melbourne. Toro Rosso, the Red Bull B team. The concept almost naturally seems to follow mere mention of the Faenza squad's name, just as Billy Connolly used to quip that he once thought a nearby football team of his was called 'Patrick Thistle nil'. Yet these days that status sells the team well short, and not just because its driver partnership is one of the most exciting in recent memory. 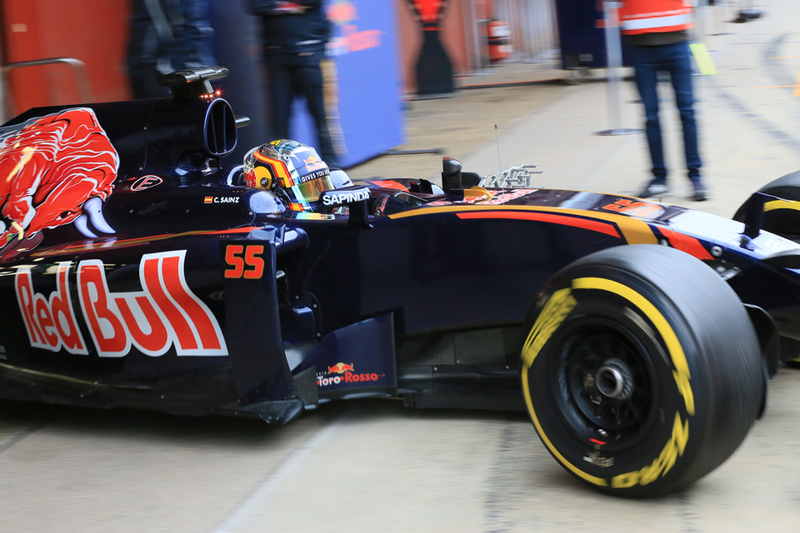 You can add also that the strength of the Toro Rosso chassis in 2015 was among the surprises of the season. This is no mere B team. The STR10 last campaign, from the technical leadership of the highly-rated James Key, was a jewel, to the point that early in the year its drivers thought it was second best behind the Mercedes. It was particularly strong in quick corners although low speed mechanical grip was by the team's admission more iffy. But the big problem was that, although it was quieter about it than the Red Bull big team, it was stymied by a down-on-power Renault unit just the same. And possibly the main regret was that, even allowing for that racing with such a power deficit never was easy, seventh in the constructors' table seemed below the package's potential. Partly it was explained by unreliability (much of which was a Renault rather than a Toro Rosso thing) though partly by that too, inevitably, the team's inexperienced drivers made mistakes. There were some technical impediments, such as having to manage brakes and engine temperatures on occasion such as in Mexico, while a few pit stops - mainly for Carlos Sainz - were botched. 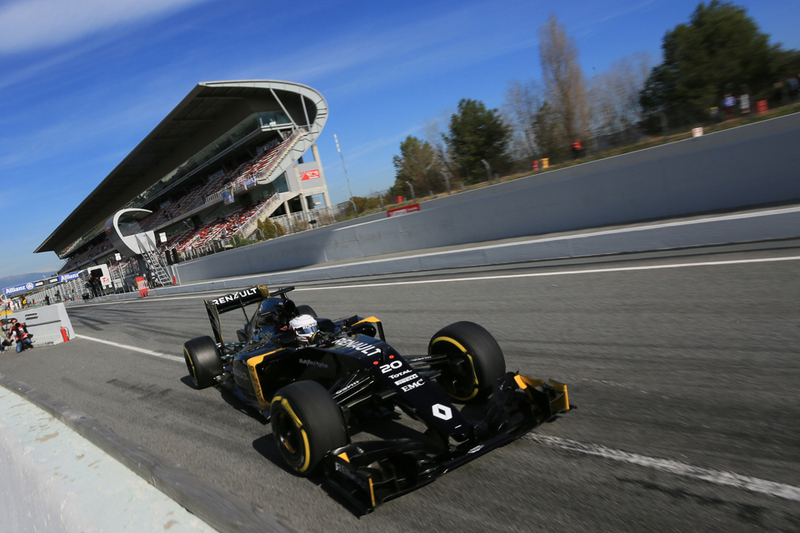 Last season was at least an improvement on the previous one for Team Enstone, then called Lotus. Well, in certain ways it was. The mistake of the awful twin-tusk nose of 2014 which tended to stall the diffuser in yaw was not repeated, meaning the car was again respectable. And its long-anticipated takeover by Renault - the French concern resolving that being only a power unit supplier wasn't worth its publicity buck, and thus rekindling the partnership that brought titles in the mid-noughties - was confirmed eventually. But for the Enstone lot 2015 didn't have much else to recommend it. For most of it the team was in locked an astonishing hand-to-mouth existence. The proposed Renault buyout dragged on almost interminably - indeed it wasn't confirmed properly until a few days before Christmas - as all sides indulged in brinkmanship, including FOM as Renault argued about payments that certain 'prestige' teams get. And while herein eventual salvation lay in the immediate term it only increased the team's financial struggle. As Romain Grosjean explained in Hungary, "when you are thinking of selling the team you won't put any money in, because it's all loss". 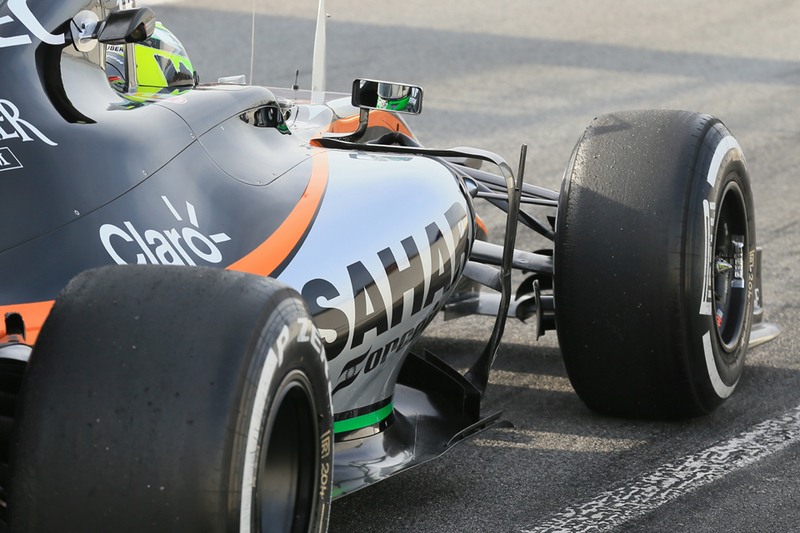 F1 2016 Season Preview: Force India - Indian summer? Are we guilty of forgetting about Force India? In every sense of it, as how easily is it forgotten that when Vijay Mallya took over the team and gave it its moniker, not all that long ago, it was back of grid fodder? And that ever since its upward trajectory has been striking in its consistency - its constructors' placings year on year reading P10, P9, P7, P6, P7, P6, P6? That in this time it usually has the best points per buck spent ratio on the grid? And that last season it did even better and achieved its highest ever constructors' placing in its current guise, of fifth? Yes it cannot be denied that in 2015 the way to that position was cleared by other teams in its usual vicinity having a disastrous time of it, but still Force India strode into the void with great assurance. Yet even with this the Silverstone squad slips routinely through the cracks of popular consciousness. Perhaps it reflects that it doesn't have the famous name and/or heritage of many of the teams around it, instead appearing the identikit independent outfit owned by a Johnny-Come-Lately entrepreneur, reliant on technical tie-ups with bigger teams (Mercedes in particular right now). Mallya himself also, shall we say, divides opinion and slightly fruity talk of his other business dealings never seems to go away. Indeed there are a more of these than ever right now, to the point that many reports say that as a direct upshot of some of the goings-on he might actually lose control of the team (something that Mallya and the team is denying). But whatever is the case none of the predictions that this will have its knock-on impact on the F1 squad itself have yet come to pass. For good and ill, F1 is a sport like few others. Take football. The laws may change in the detail but the fundamentals remain: one pitch, two goals, one ball, 11 players each and the like. And therefore the same sorts of teams - those with better players and more money - tend to win. F1 by contrast can change drastically between seasons, and even those most decorated can fall victim. Red Bull knows this now. It dominated the sport for years by entirely focusing on chassis excellence and despite having rather an arms-length relationship with its engine supplier Renault. Then the game changed, for 2014 the sport became an engine formula and overnight Red Bull's approach was obsolete. And that's pretty much been the story since. Red Bull waiting, not so patiently, for Renault to get it right. In 2014 the Milton Keynes team now hamstrung by a big power deficit suddenly was nowhere near a title challenge, but had enough still to be a respectable runner-up and bagged three opportunistic wins. Last year Renault curiously made almost no progress and the Bulls slid back further. 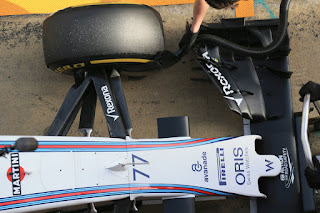 Perhaps the team itself didn't quite do itself justice in the early part of the year either - it was impeded particularly by changes to the nose and skidblock regulations that meant it couldn't run its famous 'rake' of before - but from roughly the Silverstone round onwards a bottom rung of the development ladder finally was found. 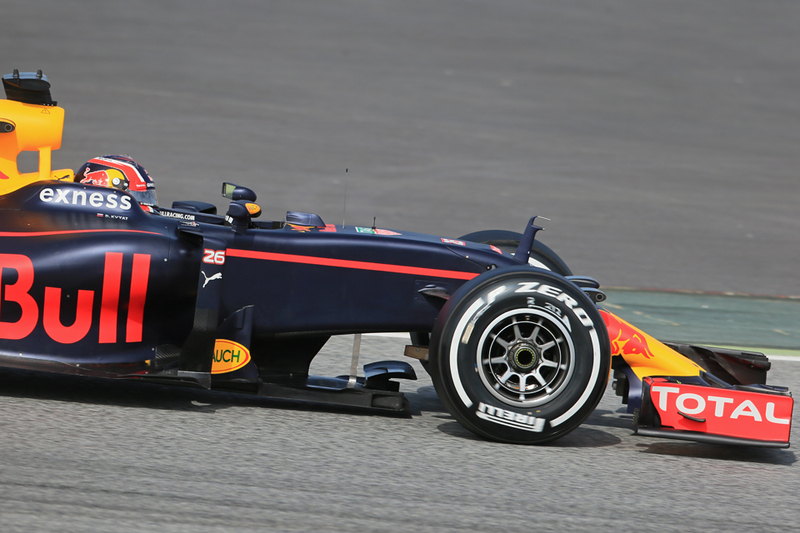 There are still those who believe that chassis-wise the Red Bull remains the thing to have. Further Red Bull was rather humiliated off the track in 2015 as rather than try to learn the lessons from those now ahead of it by getting closer to its power unit partner it trashed Renault repeatedly in public. Worse it did so without an alternative supplier lined up. One by one the other manufacturers jilted the team, leaving it no choice but to go full circle and return sheepishly to Renault, the 'badging' by new sponsor TAG Heuer supplying sufficient distance for all concerned. Some thought indeed that Red Bull merely was used as a pawn by Bernie et al in his ongoing fight with the manufacturers, but even if this was the case at the time of writing it's not at all obvious what the Bulls got out of it. F1 2016 Season Preview: Williams - Third rate or third force? How good was Williams' 2015 campaign? Well it all really is a matter of how you look at it. In many ways the season was a good one - its sharp climb up the order for the 2014 season - harnessing prodigious Mercedes power with an effective low drag chassis - was loosely maintained, as was its third place in the constructors' table albeit with Ferrari moving ahead and Red Bull dropping behind. 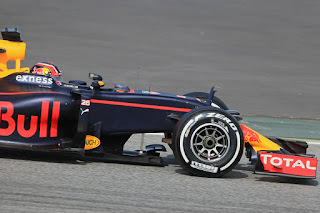 Its pace probably was more consistent this time; reliability improved too. It also led a design trend with its short nose concept. Yet somehow, even allowing for the near-inevitability that consolidation will never be quite as exciting as the rise, some of the buzz of 2014 was not replicated. The days from that previous campaign when the car was clear second-best and even giving Mercedes much to think about such as in Austria and to a lesser extent Abu Dhabi were not repeated in 2015; in Silverstone the two Grove cars led the first stint in formation and might even have won with ruthless strategy (and subsequent rain staying away) but that owed mostly to getting the lead off the line rather than pure pace. Instead its cars could be found usually in a lonely place far off the Mercedes and Ferraris but capable of beating the rest.